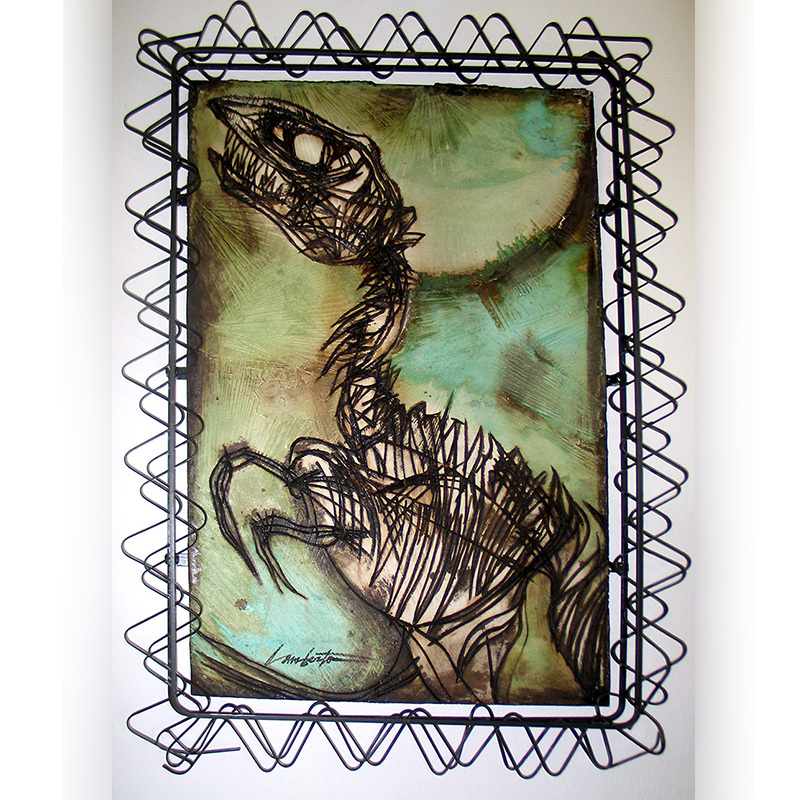 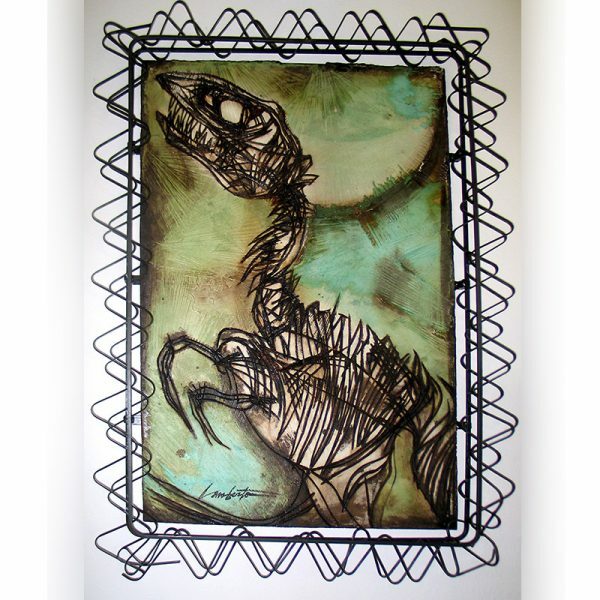 Second in a series of Tyrannosaurus Rex etchings where cooler stain colors such as “moss” and “blue di mare” are used. 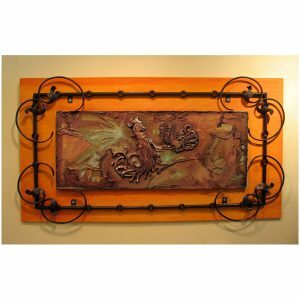 One of my early concrete art pieces, this one was accentuated with a specially designed rod iron frame. 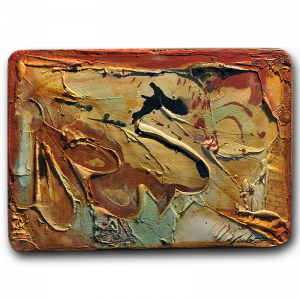 Perfect for formal or informal settings.